Pantea Karimi has lived, studied, and worked in Iran, the UK and the US and presently resides in San Jose, California. She started her training in painting and classical music at age 14, which led to her decision to pursue art professionally. 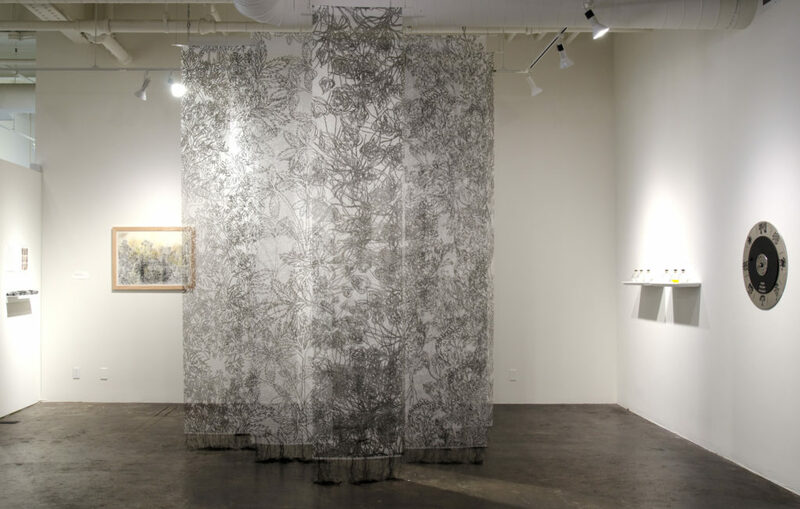 Karimi earned her MFA in printmaking and painting from San Jose State University in 2009. She also holds a Diploma in printmaking and glassworks from Hastings College of Arts and Technology in England in 2004 and an MFA in graphic design from the Art University in Tehran, Iran, in 1999. Karimi’s fine arts and graphic works are in public and private collections and have been featured in several publications in Iran, Italy, Croatia, the UK and the United States. Her prints and digital works have been exhibited in diverse solo, group and traveling exhibitions in Iran, Algeria, Germany, Croatia, Mexico, the UK, and the United States, including the de Young Museum and the Yerba Buena Art Center in San Francisco, 2012 ZERO1 Biennial, the Triton Museum in Santa Clara, the Peninsula Museum of Art in Burlingame, the Google Company and the NASA Ames Research Center in Mountain View, the San Jose City Hall, The San Jose Tech Museum of Innovation, the New Bedford Art Museum in Massachusetts, Pikto Gallery in Zagreb, Croatia and Platform in Munich, Germany. Pantea Karimi has given lectures and artist talks in museums and universities including The LASER (Leonardo Art Science Evening Rendezvous) series in the San Francisco Bay Area. Karimi had a Research Residency at the The British Library in London, UK in April 2018, where she researched a few prominent medieval and early modern scientific manuscripts. She is the recipient of the 2016-2017 Kala Fellowship-Residency Award; the 2010 Distinguished Artist Award by the City of Cupertino Fine Arts Commission; the 2011 Multicultural Arts Leadership Initiative Fellowship; and the 2012 School of Arts and Culture Grant in San Jose, CA. Karimi is a faculty member in the Department of Visual Arts at Cabrillo College in Aptos and maintains a studio in Cubberley Studios in Palo Alto, CA.